Random Ridiculous Rants: Legalize it! This week in stupid lawsuits! It looks like California may be voting on legalizing pot. And not just in the medical sense (excuse for a minute here while I stop my siblings from packing their bags and loading up the caravan). Today, Los Angeles County elections officials must turn in their count of valid signatures collected on a statewide legalization initiative. The Los Angeles Times reports that the number is virtually certain to be enough to qualify the initiative for placement on the November ballot. Now, I'm not a pot smoker, but I say go for it, California. I'm not a pot smoker, but I am for the legalization of marijuana (and across the board, not just medically). Because I think it has the capability to take a chunk out of our defecit, create new jobs and generally boost moral. Because honestly, who's happier than stoners who aren't worried about being caught? And I think it has the benefit of making sure that all the pot sold would JUST be pot, you wouldn't have to worry about your kid accidentally smoking some sort of laced pot and getting addicted to crack/rocks/speed/whathaveyou. Now, I think there should be serious limits and regulations put upon it. I think you should have to be 21, same as beer. I don't think you should be permitted to drive high, go to work high, or do any of the things you should not be doing drunk, while high. And, instead of paying cops to head out and destroy marijuana farms and pot gardens, (which can be a deadly form of employment if the pot farmers are heavily armed) we can pay those same police to just inspect whether or not pot farms have licenses, and if they don't impose a big old fee, which will also help us out of the national deficit. And I don't think we have to worry about our kids starting on coke or speed, because suddenly pot is legal. If properly restricted to age groups, it will still be as "cool" as booze is to teenagers. And kids are smart these days, they just want to be in an altered state, they don't want to be dead. And it's not just California (although they are definitely getting the most buzz) Nevada has measure for 2012 which would allow state licensed pot stores. And a campaign in Washington State hopes to put a legalization measure onto the fall ballot as well. And I say go for it. Let's use drugs to dig this country out of its deficit. I am so glad you wrote about this, I totally agree with you, I am not an smoke pot either, I can't actually smoke, my asthma is too severe for that, but the reason why I agree with you, besides what you already said is that as it would be legal, you have less drug dealing related with pot, and as it is legal it will probably be cheaper, so less criminals will become rich from that, and there would be less crime itself. We can't forget that many of the crimes in the USA are related with drugs. 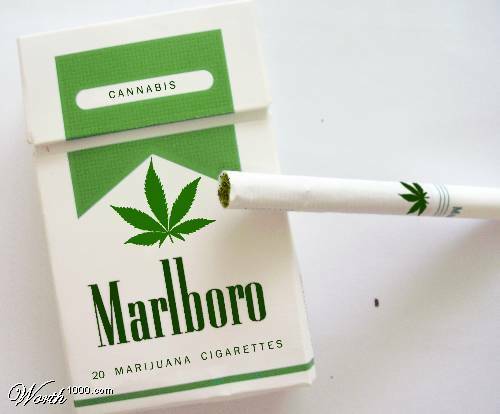 geezzzzzzzz....I dpn't want top legalize this drugs..this is absurd.. geezzzzzzzz....I dpn't want top legalize this drugs..this is absurd.. WELL THERE IS THE UNEDUCATED OPINION APPARENTLY. I THINK IT IS GREAT AND LONG OVERDUE. WE ARE LOCKING UP OTHERWISE LAW ABIDING CITIZENS EVERYDAY FOR SOMETHING LESS HARMLESS THAN ALCOHOL. BY THE WAY MARIJUANA CAN BE CONSUMED BY INGESTION (EATING) YOU DON'T HAVE TO SMOKE IT. want to become my blog follower? Great article! I've written quite a few articles on marijuana legalization and done a lot of research on it. I think legalization would be a big boost to the current economy, but the only way it's going to happen is if people take time to get fully educated on it, instead of believing the stereotypes. I stopped smoking a few months ago due to be worried about getting caught, but I'm proof that marijuana doesn't kill your brain cells. I've smoked for a lot of years, I have 3 kids, work from home as a freelance writer, and have been on the dean's list for the last 8 months since I've started college. All A's for me, even when I did still smoke. I hope CA passes this, and that other states open their eyes to the benefits legalization can bring. Hmm nice post,,I'm smoker,,but rarely now. Nice post. Something funny to note is most of the growers in Northern Cali are opposing the legalization of herb...why? Prices on the pot market are already plummeting from the legalization of medical marijuana in multiple states.